Removing barriers to patient cost, insurance coverage and authorizations, social stigma, medication adherence and provider access for MAT and psychosocial services is vital to treatment program enrollment and decreased relapse rates (currently ~40 – 60%). Addressing non-adherence from patient visit no-shows (travel, transportation, job). Paying MAT providers and pharmacists, outside of visit encounters, to monitor patient adherence, ingestion and dosage data results from a remote sensor, packaging, biometric and smartphone solutions. Curb access to the addictive drugs while ensuring that patients with long-term chronic pain who need them can continue treatment. Painkiller dosage varies. The CDC’s 90-milligram red flag is for patients in acute pain initiating opioid therapy, not necessarily patients with chronic pain on long-term opioids. The acute pain patient, the guidelines say, should first be offered treatments like acetaminophen or ibuprofen. A short course of a low-dose opioid should be a last resort. Limiting painkiller supply and doses can put older patients into withdrawal or lead them to use deadly street drugs. Prior Authorization hoops. Pharmacists negotiating prior authorizations and insurance rejections eat hours of time between doctors, nurses and insurers. Patients feel stigmatized further. Pain medicine and primary care providers already overwhelmed with time-consuming paperwork will simply throw up their hands and stop prescribing altogether. Patient hoops. Submitting to random urine tests (UDS) and requiring chronic pain patients to visit pharmacists or providers to count painkiller pills imposes a further burden and unnecessary cost. 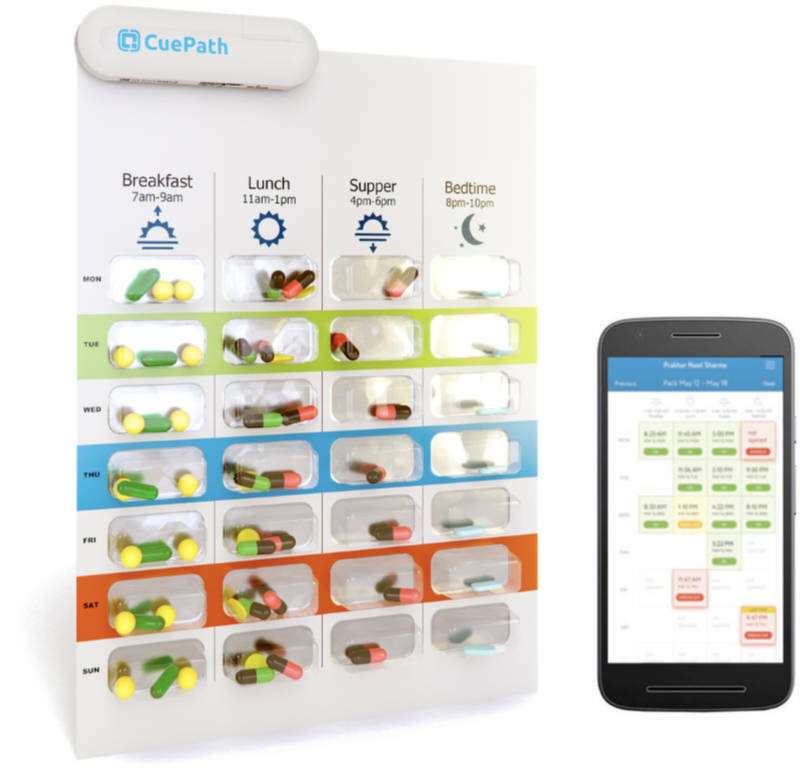 CuePath is a smart blister package solution that supports adherence to chronic pain management, and Medication Assisted Therapy (MAT). CuePath uses take-home, standard blister packaging for MAT tablet prescriptions (buprenorphine, naloxone, naltrexone or combinations). Also, CuePath would be used potentially for painkiller medications (Tramadol, etc.) polypharmacy prescriptions (Alzheimer’s, Heart Failure, etc.) and other regimens (Hepatitis C, Tuberculosis). CuePath analyzes and records location, pills, and dosage taken and when a blister cavity is punched out (date, time taken). CuePath’s pill cavities can be used to track different dosing amounts for tapering. CuePath can also indicate and record the patient’s struggles with cravings or breakthrough pain.